APB Trading and Expedition Equipment will be attending the ‘The Great British Land Rover Show’ on Saturday 25th November 2018 at Stoneleigh Park! The show is open 10am to 4pm and are looking forward to seeing some of you there. Our stand number is 2A34. Tickets are available online and they cost £7.50 per adult. Under 14’s and disabled carers are free. However, if you do decide to buy tickets on the day it will cost £12.50. Dogs are allowed at this event as long as they are kept on a lead. There is also an option to purchase ‘Off-Road Course’ tickets and these will cpost £10 if you buy online or £15 if you buy on the day. 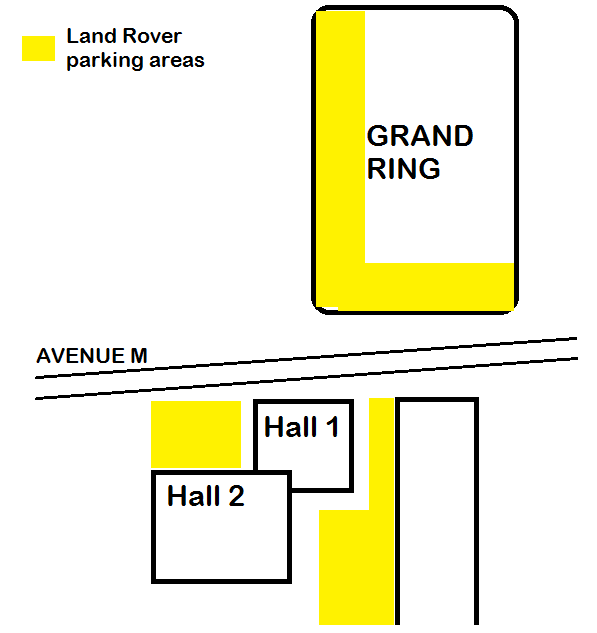 There is parking available onsite and there are also ‘Land Rover Only’ parking area. A 2.4 mile off-road course is available, however there are a few terms and conditions that we just wanted to let you know about. In order to participate, you must be over 18 and have a full driving license. You will also need your own vehicle to participate. One £10 ticket gets you one lap of the course and any passengers you may have are free of charge. Please note if you buy a ticket on the day it will cost you £15. Finally, we look forward to seeing as many of you there as possible. As ever if you would like to know what we will be taking the show then please don’t hesitate to contact us on 01299 250174 or email us at enquiries@apbtrading.co.uk. We can also do pre-orders – if you purchase a product before the show you can collect it free of charge at the show, please phone up to place the order.